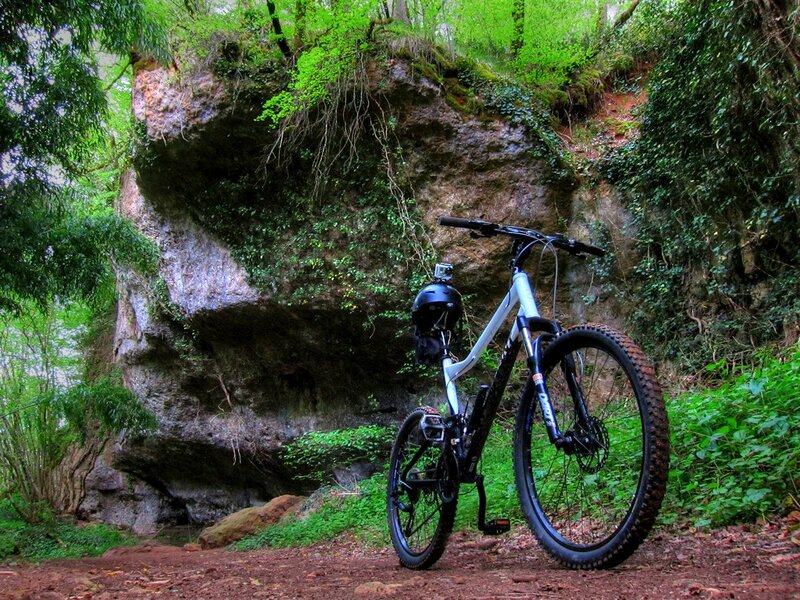 As of 2014 Walking Dordogne no longer offers Mountain Biking Tours. The good news is that, we have opened our trails to everyone. We have spent more than 7 years putting together what is without any doubt the best mountain biking trails in the Dordogne. Our trails will put a smile on every mountain biker. Our trails offer everything you could wish for, fast and fun single tracks, some nail biting switchbacks, some brutal downhills and lets not forget about the fantastic scenery, our trails are mostly loops, and can be combined with most of our other trails to make them longer or shorter. so, if you want to spend an hour cranking, or an 8 hour slaughter, Walking Dordogne is the place to be.